Whenever I think of my Grandma, I always think of two things; Lemon Meringue Pie and Fudge. My Grandma made my Grandpa this recipe for homemade lemon meringue pie at least once a week throughout their marriage. Now that’s true love! I don’t recall her ever eating a slice of pie and after he passed away, I don’t think she ever made another pie…I wonder why? 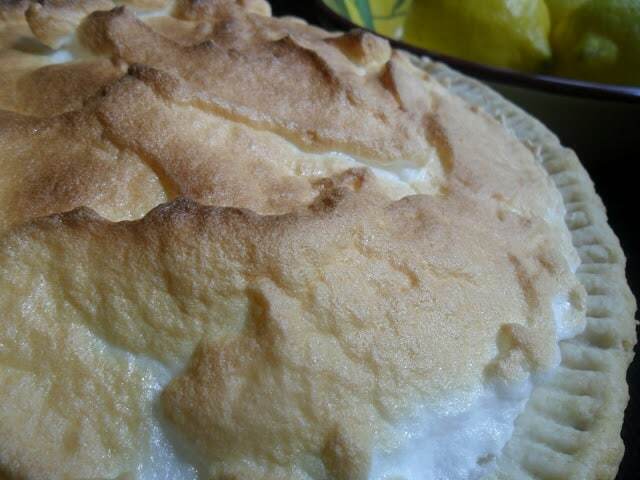 Grandma’s Lemon Meringue Pie is delicious! One day when I was visiting her, I asked her if she had a recipe for lemon meringue pie. It was Easter time and I offered to bring a pie to my in-laws house for dessert. When she said that she did, she told me the story about making a pie for Grandpa at least once a week. I commented that she must really like lemon meringue pie. She looked at me and said, “I can’t stand lemon meringue pie!” That explains everything! 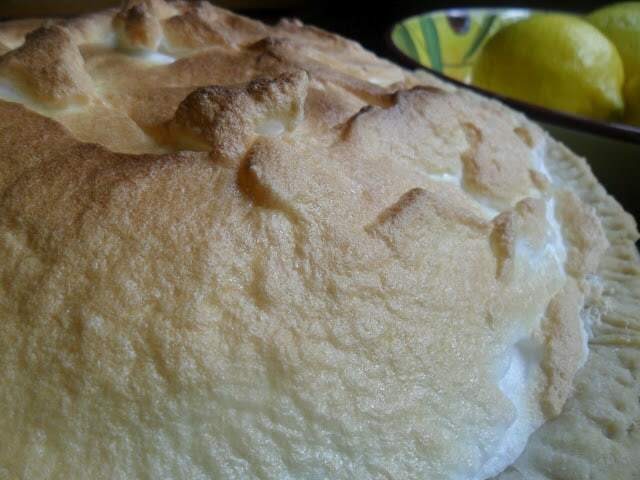 My Grandma might not have liked lemon meringue pie but I surely do and so does my hubby. In fact, I’ve had people beg me to make this pie recipe for them. With that being said, this recipe is a keeper. I think my Grandma would be happy to know that after all of these years, I’m still making her recipe for lemon meringue pie AND I have a food blog to share it on. 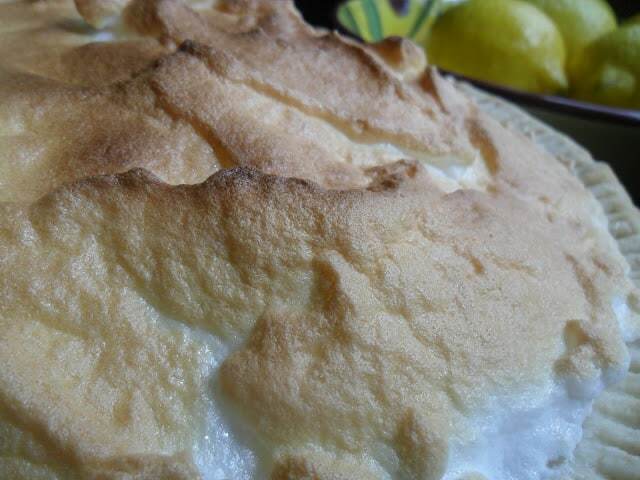 If you have never attempted to make a lemon meringue pie before, never fear! It’s really not as difficult as you might think. I use a refrigerated pie crust which makes things easier but you can make a homemade single crust if you prefer. The lemon filling is basically a homemade lemon pudding/pie filling, that is super easy to make. 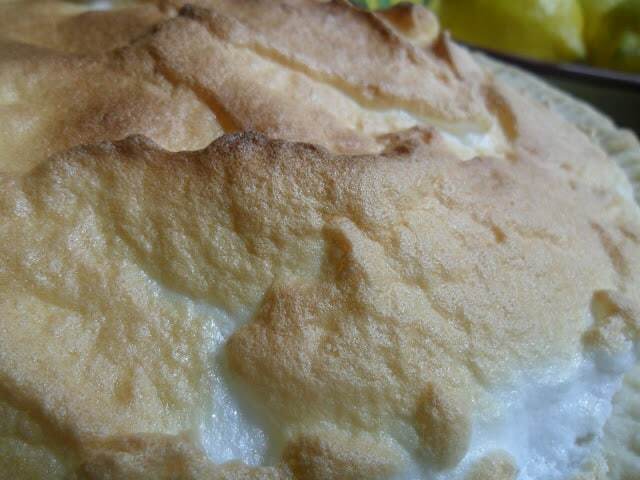 The meringue topping is just egg whites beaten with cream of tartar until stiff peaks form. That’s it! 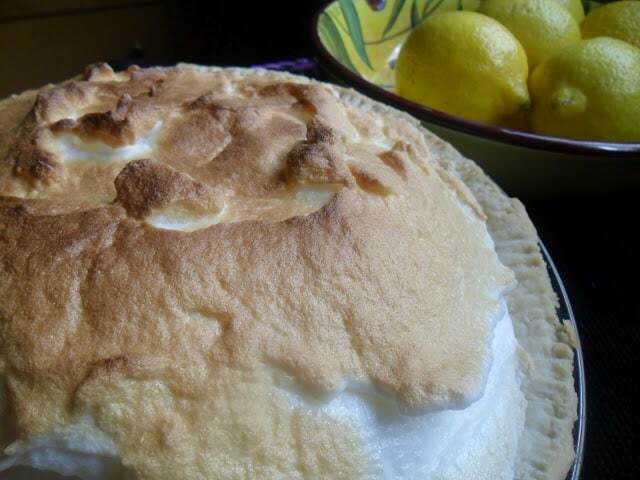 Grandma Rose made this recipe for Lemon Meringue Pie for many years. This recipe has definitely stood the test of time. Stir together sugar and cornstarch in a medium saucepan. Place pan on top of a double boiler or over a large pan of simmering water. This can take anywhere from 15 to 20 minutes. Stir in 1 tablespoon butter. Remove pan from simmering water. Let cool. Make crust according to package directions for one-crust pie. Spoon filling into baked pie shell. Make meringue. Beat egg whites with salt and cream of tartar until foamy. Continue beating until soft peaks form. Sprinkle 1 tablespoon of sugar at a time over egg whites, beating well after each addition, beat whites until stiff peaks form. Spread egg whites on filling, spread filling to the edges to seal. Bake in a 350 degree oven until whites are golden brown, about 10 to 15 minutes. Watching closely. Here are a few recipes you might want to try. Shrimp Noodle Supreme , Crab Cakes with Chipotle Mayonnasie and we can’t forget, Pear Sauce and Lemon Cream Pomegranate Scones. Products used in this recipe: Pillsbury Refrigerated Pie Crust. I love the story about your grandmother and grandfather! Thanks for linking up on Tried and True Recipes at http://rediscovermom.blogspot.com. Lemon – wonderful. Thanks for linking this in to Food on Friday. Thank you too for visiting some of the other links and leaving comments.